When kayak fishing it is often necessary to anchor in position or deploy a drogue to stop your kayak drifting too fast. When anchoring or using a drogue we would always recommend using an anchor trolley system. 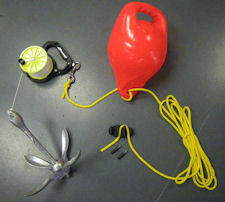 including: a 1.5kg folding grapnel anchor, a divers reel complete with 80m of line, a length of floating line, a pick-up buoy and a zigzag cleat. This kit is designed to be 'quick-release' should you need to unanchor quickly. The divers reel is suspended in the water below a pick-up buoy. 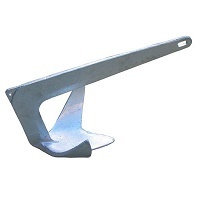 This is attached to the kayak via the zigzag cleat. 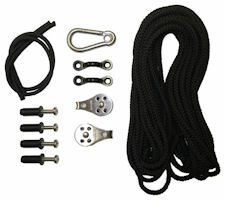 If you need to anchor quickly you simply release the floating line from the zigzag cleat (positioned beside you) and the whole kit is left suspended from the buoy. This can then be retrieved when it is safe to do so. PLEASE NOTE: Some people like to use a length of chain to connect the anchor to your anchor line. This is not included in this kit but can normally be sourced from a chandlers or DIY shop. We strongly recommend that when anchoring a fishing kayak, you use an Anchor trolley system such as the CSG Anchor trolley kit. 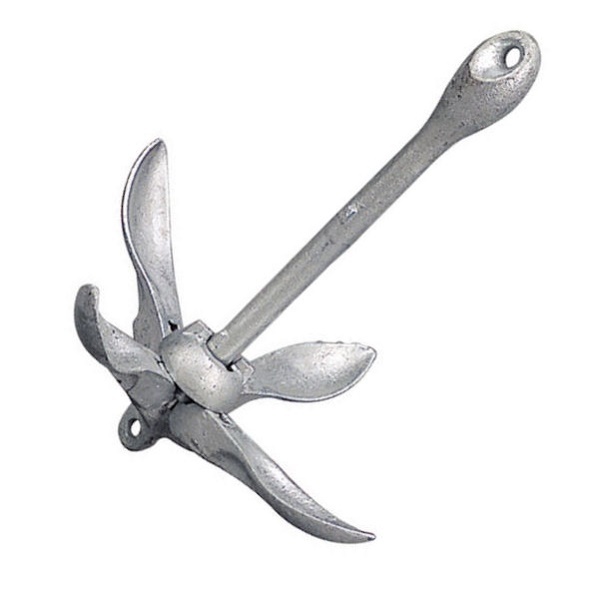 your to safely deploy and retrieve your anchor rig from the cockpit of your boat, and then shuttle the anchor line forward or back to get yourself anchored from the bow or stern. This method of anchoring means that you do not need to clamber to the front or back of your kayak in order to deploy and retrieve your anchor, and reduces the risk of destabilising the kayak in swell, chop and tidal flow. 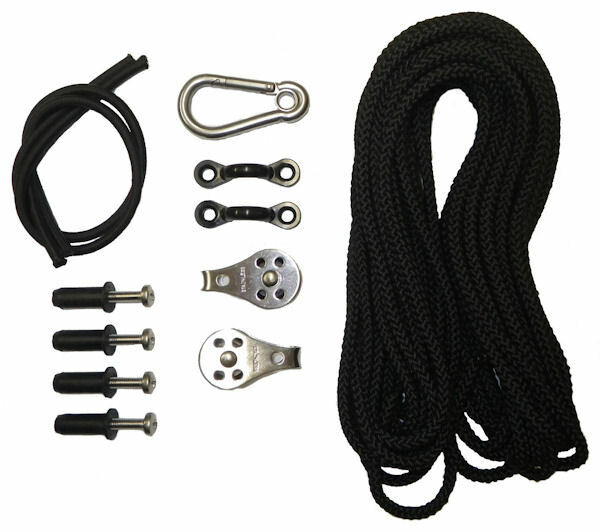 The CSG Anchor kit contains all the items required to rig a trolley kit to your kayak except for a cleat to lock the trolley kit in position. This is down to personal preference and can be purchased separately, but if you are purchasing the CSG Anchor kit, a "zig zag" cleat is provided with this. rough ground where there is little tidal flow.The anchor can also fold up for storage. Attachment points are found at the top and bottom of the anchor so that a weak-link/trip system can be fitted if required. mixed ground.The anchor can also fold up for storage. Attachment points are found at the top and bottom of the anchor so that a weak-link/trip system can be fitted if required. ideal for anchoring your fishing kayak on clear ground such as sand or mud. Attachment points are found at the top and bottom of the anchor so that a weak-link/trip system can be fitted if required. windy conditions when anchoring is not possible or desired. 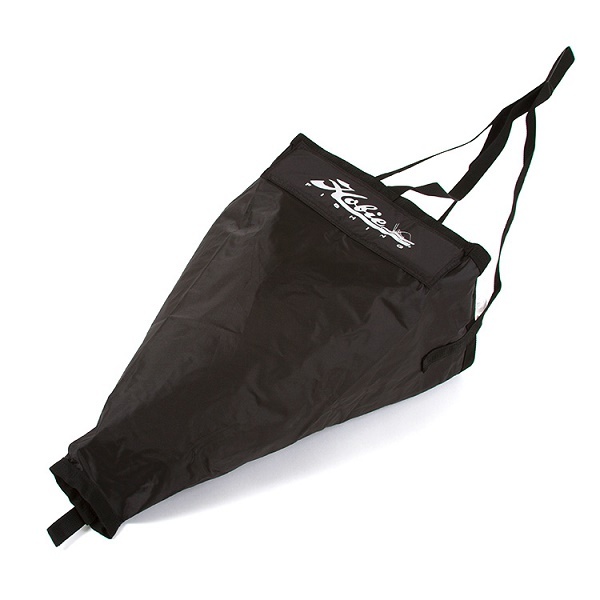 Design keeps chute just under the surface and fully inflated. Anchor line not included. (Connect to the Hobie Anchor Trolley System for best results).